We all know that the Facebook IPO wasn’t that great. Mark Zuckerberg publicly admitted it while on stage at TechCrunch Disrupt. And now Facebook’s COO Sheryl Sandberg went on camera during an interview with CNBC to reinforce what Zuckerberg said, but also said that while the team is disappointed in the stock price (currently still well-below the $38 IPO price), it’s focusing on moving forward on running the business. Of course Sandberg couldn’t comment on some things relating to the stock price as the company is facing numerous lawsuits from the way the IPO was handled, but she did say that Facebook is working aggressively on releasing new products, with emphasis on mobile and advertising being part of that effort. In Facebook’s SEC filing prior to their IPO, it was noted that one of the company’s Achilles Heels was going to be mobile and Zuckerberg said as much, saying that its biggest mistake was betting on HTML5 instead of going native. Sandberg said that the mobile space is a “huge space and huge opportunity”. Its mobile network exceeds 500 million users with the most engaged users than anyone else. More users are engaged on mobile than those on desktop–20% more likely to come back on any given day. To take advantage of this, the social network is rolling out mobile ads in order to test if it’ll work in collaboration with user engagement. So far, the testing that Facebook has done seems to be going very well–at least from what Sandberg is saying. She also states that what they’re seeing in their mobile ads are more engaging compared to all the other ads that users typically see on the right-hand side of Facebook.com. In fact, a promoted post, if it goes through newsfeed, is eight times more engaging than the exact same post on Facebook’s website and the company is looking to capitalize on it. But can the company compete against the likes of Google when it comes to establishing an ad network? 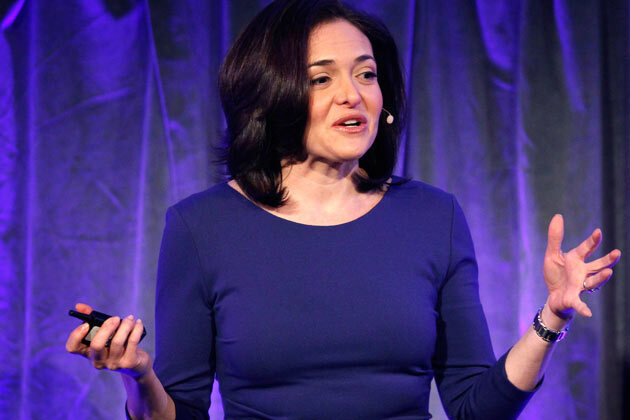 Sandberg certainly thinks so–with great targeting and the fact that people are using the service to reach customers who are real and will truly engage, there can be tremendous value for marketers to “get the bank for their buck that they need”. You can watch snippets of Sandberg’s interview with CNBC’s Julia Boorstin all day today with excerpts found here and here.